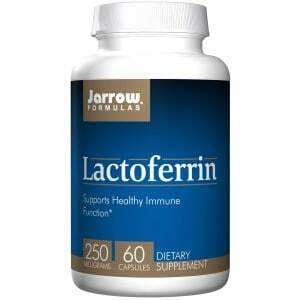 Jarrow Formulas Lactoferrin is an important immune supporting glycoprotein this is found in breast milk, tears, and other body fluids. 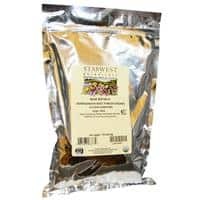 One of the biological activities of lactoferrin comes from its powerful ability to bind iron (300 times that of serum transferrin), which promotes the growth of beneficial bacteria. Moreover, digestion of lactoferrin by gastric pepsin liberates the immune supporting peptide lactoferricin B.